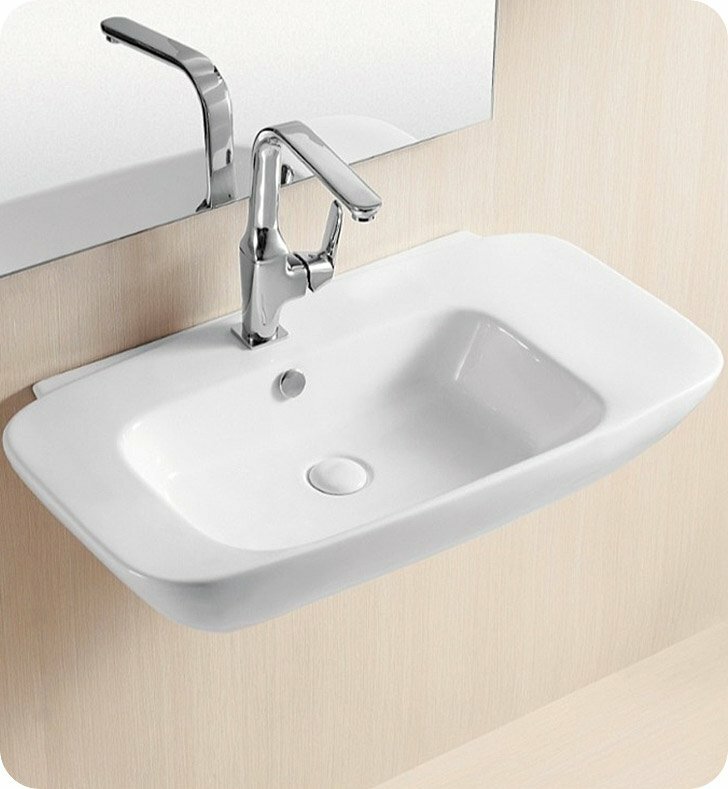 Modern style rectangular sink designed by Caracalla in Italy. Contains one hole and overflow. Made of ceramic with a white finish and extra lip space on either side. Dimensions: L 17 3/8" x W 32" x H 6 3/8"